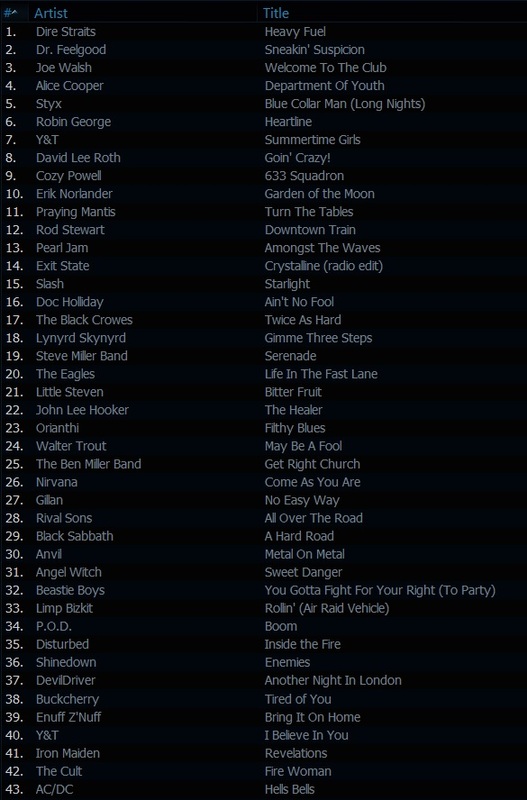 I think you’ll see from the playlist, that last weeks show hit a lot of genres…Metal, Prog, AOR, NuMetal, Blues. One thing’s for sure, the requests which you, dear listener, offered up we just brilliant!! It makes for a great evening’s entertainment when so many of you take part.